(from Wikipedia, the free encyclopedia) Lotus Elan is the name of two convertible cars and one fixed head coupé produced by Lotus Cars. The original Type 26, 26R Racing version, 36 Fixed Head Coupe, 45 Drop Head Coupe, and the "Type 50" +2 Coupe, circa 1962 to 1975, are commonly known as the '60s Elans. The Type M100 from 1989 to 1995, is also commonly known as the 1990s Elan. The original Elan was introduced in 1962 as a roadster, although an optional hardtop was offered in 1963 and a coupé version in 1965. 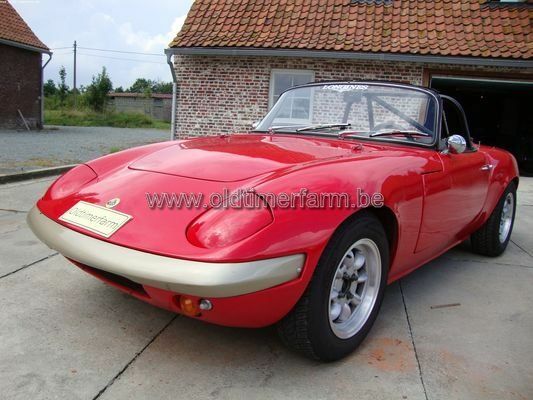 The two seat Lotus Elan replaced the elegant, but unreliable and expensive to produce Lotus Elite. It was the first Lotus road car to use the now famous steel backbone chassis with a fibreglass body. 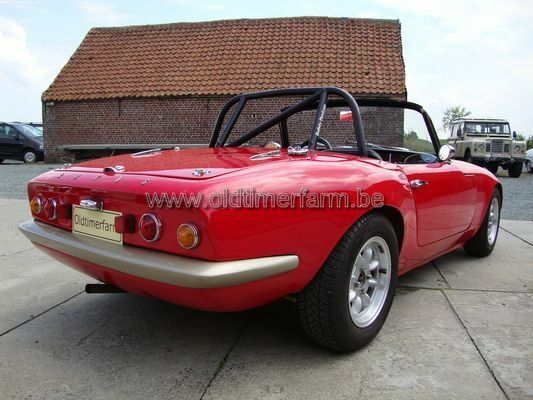 At 1,295 lb (585 kg), the Elan embodied the Colin Chapman minimum weight design philosophy. Initial versions of the Elan were also available as a kit to be assembled by the customer. The Elan was technologically advanced with a twin-cam 1558 cc engine, 4-wheel disc brakes, and 4-wheel independent suspension. The Lotus-Ford Twin Cam engine was based on Ford's Kent, with a Lotus-inspired Cosworth alloy twin-cam head. This Lotus-Ford 4-cylinder engine would go on to be used in a number of Lotus production and racing models. An Elan +2 was introduced in 1967 with a longer wheelbase and two more rear seats. The Elan +2 embodied the Lotus spirit: It was a fast and agile sport coupe, with very elegant lines. It combined the performance and reliability of the Elan "Coupe" with genuine 2+2 passenger comfort. Specifications. Body : length/width/height/wheelbase –cm (in) : 368/152/110/213 (145.2/56/43.5/84); weight : 585 kg (1290 lbs). Engine : 4-cylinders 1558 cc (95 ci), front-mounted, manual 4-speed, rear-wheel drive. Maximum power : 105 bhp @ 5500 rpm. Top speed : 185 km/h (115 mph) ; 0-60 mph : 8,7 sec.